For awhile now TechCare has rented a VPS (Virtual Private Server) from a very sleek band of heroes called Digital Ocean. Now they have been very good to me. Fast support, fast VPS, for TechCare’s needs it was a great relationship. So why did you leave them? They seem great! Data Centre (at least mine did) that is located in Singapore. Which normally would provide fantastic throughput and great latency (70ms ping). 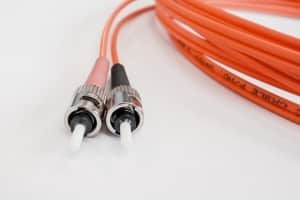 However in the last year or so, the Fiber Optic cable – Submarine cable codenamed SEA-ME-WE-3 – has been broken or cut or dragged or just degraded to the point where traffic stopped flowing and subsequently redirected by engineers through a longer, more busy Fiber Optic cable. Now my ping varies all over the show. At best it hovers around the 200ms mark. At worse I’ve seen it go all the way up to 1 whole second. On top of this packet loss is more regular. Now that is some high ping. Which is not very cool. So I’ve been forced to migrate my server to Binary Lane. Don’t know much about these guys, but their price (factoring in GST is being included and the exchange rate) is almost identical. I’m hoping that this new found relationship will thrive seeing that popular Aus Gamers website uses them. We’re always keen for feedback on our services so if you have any questions we’re here! And welcome!